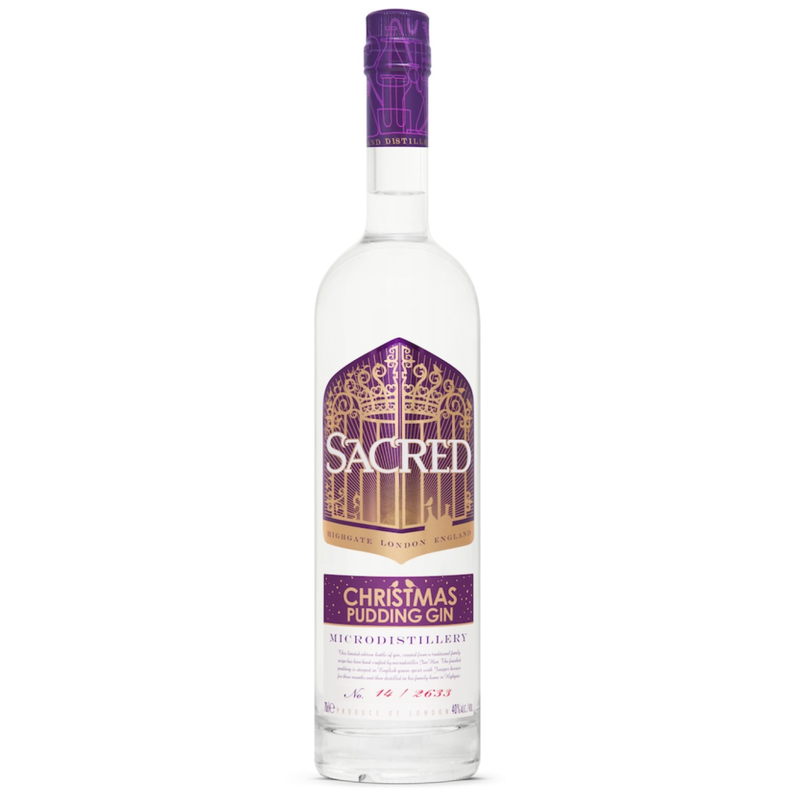 This unique gin is made by distilling whole Christmas Puddings, made according to Sacred Spirits founder Ian’s Great Aunt Nellie’s recipe. Serve as a shot straight from the freezer after your turkey as an alternative to Christmas Pudding! 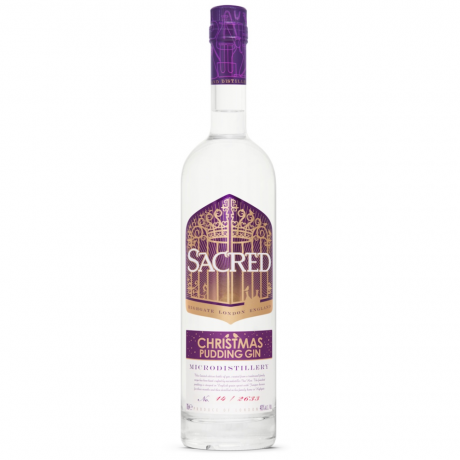 Or try in a Christmas Pudding Martini, pouring straight from the freezer with 5ml Sacred English Dry Vermouth and 5ml Sacred English Spiced Vermouth, garnished with an orange zest. Substitute into any gin classic, such as a Negroni, for a more festive take on a cocktail! Alternatively simply pour a large measure over ice and top with your favourite tonic water,then garnish with a cinnamon stick and a slice of orange for a Christmas G&T. Please note that this is a rich distillate and so often throws a sediment which does not affect drinking quality - just like a fine wine.